The Ukrainian government’s top priority is to root out extremism throughout the country, but Ukrainian nationalists are going to great lengths to make their voices heard, even through the deliberate desecration of a WWII memorial. ­Recently, activists of a Ukrainian Radical Nationalist Party cooked eggs and bacon on the eternal flame in Kiev’s memorial park, a monument to the Red Army soldiers who died liberating the country from the Nazis. Rada deputy Vadim Kolesnichenko sees little surprise as to why this happens in modern day Ukraine. The two nationalist army leaders, Stepan Bandera and Roman Shukhevich, were made heroes of Ukraine by former president Yushchenko. Their groups are seen by many as Nazi collaborators: first they fought the German invasion, then turned against the Soviet troops – at times using gruesome tactics against civilians. 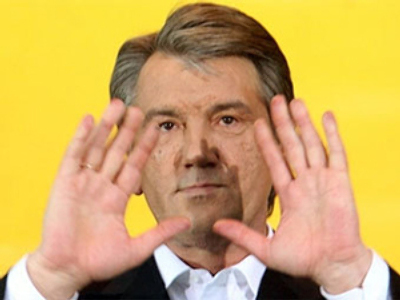 The former president’s decision split Ukraine open, ideologically. 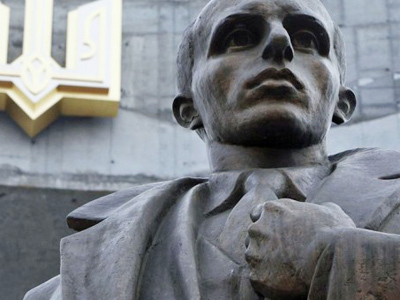 Now, with Viktor Yanukovich in office, the authorities proved in court that Bandera had no right to bear the heroic accolade and stripped Nazi collaborators of the Hero of Ukraine award given to them by the previous administration. “The law says that only a citizen of Ukraine can become a hero. And Bandera wasn’t a Ukrainian citizen. But the law doesn’t matter to some people here. They believe the real Ukraine is in the West of the country, and they don’t want to find any compromise,” reveals political analyst Mikhail Pogrebinskiy. 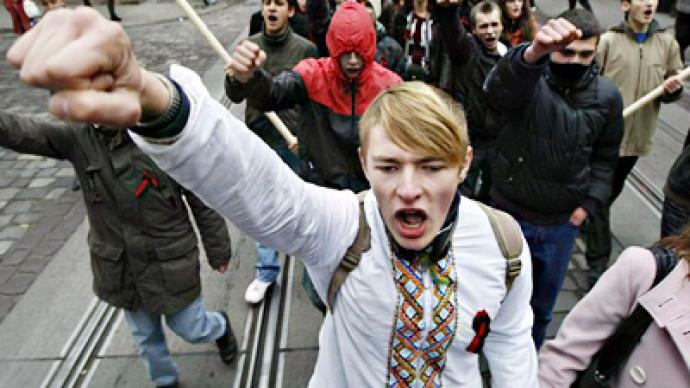 The court’s decision caused massive public outcry in the West of Ukraine, a nationalist hotbed. 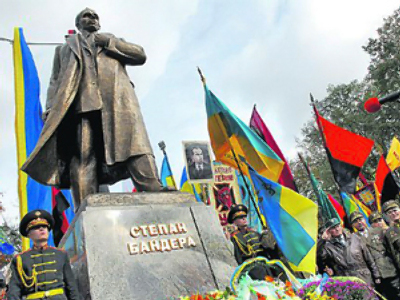 From renaming the streets after Bandera to raising funds for new monuments – people in that part of the country stress that their loyalty to Bandera will stand firm. 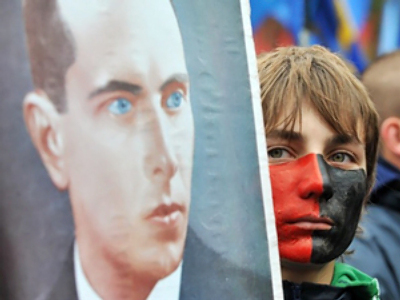 “Bandera was, is and will be our hero. This is what we believe in and no court decision will ever change that,” proclaims Lvov city council deputy Andrey Kholyavka. But at some point words turned into actions. 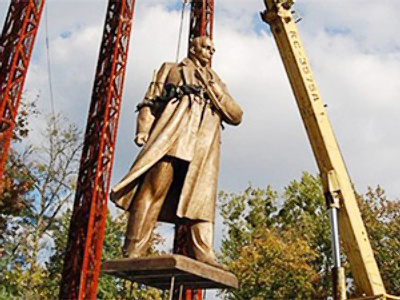 Nationalist wings organized a series of extremist attacks: this summer, during the Russian Patriarch’s visit to Ukraine, they bombed a church, and have also vandalized Soviet-era monuments. The country is left to wonder what reaction would follow should another controversial World War II Ukrainian be deprived of his hero status. On February 16, a Kiev court will decide whether Roman Shukhevich will also be stripped of his medal. And while experts say that he is most likely to follow Bandera’s footsteps, they think that no matter the decision, Ukraine will remain divided in its perception of the past.